In 2016, 10 year old Caleb Schwab was decapitated during a waterslide. Caleb’s raft became airborne during the ride and hit hoops and netting overhead. Two other adults were injured and Caleb was killed. Co-owner of Schlitterbahn Waterparks and Resorts, Jeffrey Henry, was arrested for aggravated battery and aggravated child endangerment. The Kansas Attorney General’s office arrested ride designer John Schooley as well, and charged both Henry and Schooley with reckless second-degree murder. According to the indictment, Henry dropped out of high school and had no technical or engineering background. 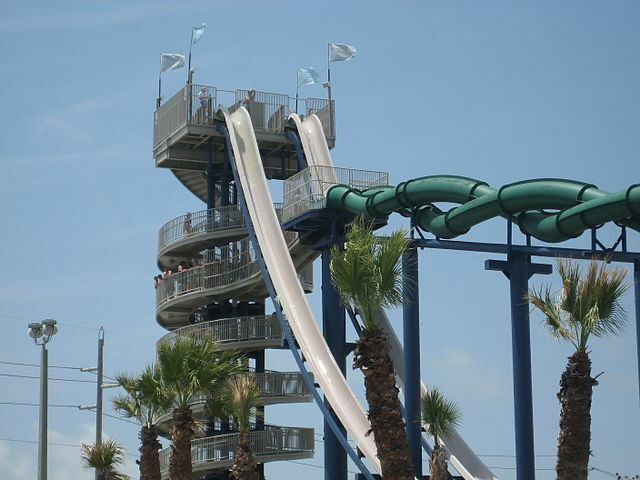 However, he controlled many decisions regarding Schlitterbahn construction and design projects. The Attorney General claims the park rushed to complete the world’s tallest waterslide to impress producers of Xtreme Waterparks, a Travel Channel show. Schwab’s death was believed to be an isolated incident until whistleblowers claimed their bosses had covered up prior accidents. Schwab’s family received a $20 million settlement. The charges against Henry are being filed by the state of Kansas, which is independent from the victims. Should Corporations Be Criminally Liable for Fatal Accidents? Second degree murder is defined in most jurisdictions as non-premeditated murder – i.e. the murder was intentional, but not premeditated. This usually involves “crimes of passion,” like a husband who comes home and finds his wife in bed with another man. The other type of second degree murder occurs when the defendant acts in a manner that shows complete disregard for life. A man who points a loaded gun at everyone he comes across in public and then accidently shoots someone might not have planned to kill someone. However, he had to have known that using his gun like that might result in a dead body. It would unjust to hold a person responsible for a crime that he or she did not commit. Corporations and other business entities are organizations with multiple individuals, many of whom may not know what other employees are doing. The law only imposes criminal liability on businesses in two instances: first, when the employer is vicariously liable for an employee’s criminal actions. However, the standard for criminal vicarious liability is higher than civil vicarious liability – the employer must authorize the criminal acts, rather than the employee acting in the employer’s name. Second, the business owner themselves may be held liable if they committed the criminal acts personally. In this case, prosecutors are alleging that Henry, as an owner, was acting so recklessly that any reasonable person would have known that it would endanger someone’s life. Henry was making important design and construction decisions even though he had no background in engineering. His decisions were likely influenced by a desire to impress television producers instead of public safety. Henry also knew that the ride was dangerous as employees reported he had helped cover-up similar accidents. While Henry might not have wanted anyone to die, he had to know that his actions would almost certainly lead to death(s). Do Business Have an Increasing Responsibility to Society? The biggest concern is increased criminal liability for business owners. The goal of every business is profit. Some business owners will put public safety as a lower concern than making money. There should certainly be consequences if they do not sufficiently prioritize safety, but those consequences were restricted to civil court through personal injury and product liability laws. Criminal courts should only be used if the actors were intentionally malicious. On the other hand, it is arguable that society has been too lenient on businesses. Big banks played a large role in 2008 recession, but few were punished. Many received bonuses for tanking the global economy. Recent events reveal that social media companies like Facebook will abuse their consumer’s privacy if left alone. Perhaps if executives were liable for criminal liability as well as financial liability we’d have less corporate and business abuses than we’ve had so far in the 21st century. « Was the Former FBI Deputy Director McCabe Legally Terminated?